San Diego Regional EDC, (EDC), Equinox Center, the Center on Policy Initiatives (CPI),and Posiba - with funding from The San Diego Foundation - launched INSIGHT San Diego yesterday. As the collaborative planned the future of our region, they recognized the need to take record of how and where progress is measured. This collective is an informative web platform designed to educate policy makers and the community on issues relevant to our regional quality of life- social equity, economic resilience, and environmental sustainability. Notably, an aspect of this vision is to make data more available for use by local municipalities, planning councils and service organizations as they consider the future of their respective communities, along with the needs and desires of their populations. 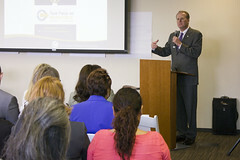 "INSIGHT San Diego emerged from local partnerships with the mutual interest of building a sustainable region. Equinox Center relies on these partnerships with leading organizations to increase its impact and continue building a healthy environment, strong economy and vibrant communities,” stated Stephen Heverly, managing director, Equinox Center. This is the first installment in this collaborative effort to use data research and analytics. INSIGHT San Diego is designed to measure progress on advancing the priorities identified by 30,000 San Diego residents in Our Greater San Diego Vision, supported by The San Diego Foundation, for improving quality of life throughout the region. More recently, a University of Southern California study, Linking Innovation With Inclusion, identified our region’s growing diversity as an untapped source of strength for our innovation economy. According to Clare Crawford, executive director at CPI, “Equity is integral to having a healthy environment and a strong and sustainable economy in San Diego. This project is a great first step in having our researchers come together and look at the issues affecting our region. 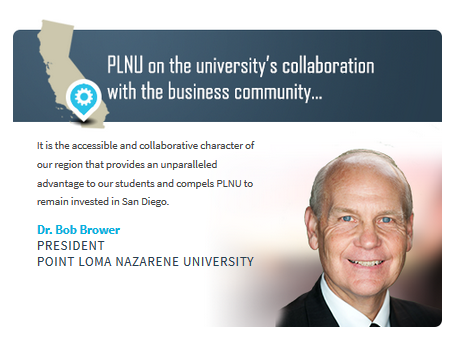 Through cross sector collaborations like these we hope to move San Diego forward." Additionally, the project will analyze the region’s innovation, competition, and local talent attraction in order to continue the momentum of national attention San Diego has recently received from entities including Forbes and Inc., who boast San Diego’s rapidly advancing startup culture. San Diego was also just featured by National Geographic as part of its "World's Smart Cities" series, as one of 18 cities featured from around the world, showcasing San Diego’s quality of life, technology sector, and local modernizers. EDC's participation in the project was made possible by the Morgan Family Foundation. Leading up to San Diego’s Global Summit on March 11, we’ll be giving a rundown of some panelists, guest speakers and programs involved in the Summit every Wednesday. From launching the region’s first biotech company in 1978 to creating companies which continue to drive the region’s innovation economy, UC San Diego elevates San Diego’s global profile. They have been ranked in the top 20 universities in the world. 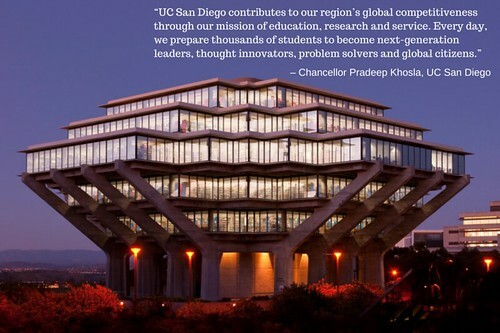 “With more than $3.8 billion in total revenues, and over 650 companies launched by UC San Diego alumni, faculty and staff, UC San Diego is an economic engine that helps to drive the future of our region,” said Dr. Pradeep Khosla, chancellor at UC San Diego. UC San Diego’s impact on the region cannot be overstated. It accounts for more than 60 percent of all bio-related degrees conferred from regional institutions. Its researchers attract more than $1 billion in funding to cure diseases and create some of the most innovative healthcare solutions. Each of these contributes a tremendous amount to San Diego’s rank nationally as one of the top biotech regions. It doesn’t stop at the biotech industry. UC San Diego’s engineering program ranks 14th in the nation and 18th in the world. According to UC San Diego, startup companies created out of the university reported more than $31.6 billion in annual sales in 2012-2013. How do these thousands of students from UC San Diego and the region’s institutions contribute to San Diego’s global profile? When you look at the top 20 most populous metropolitan regions in the nation, San Diego ranks 2nd in percent of college grads with STEM degrees, 5th in percent of population with a doctorate degree or higher, and 3rd in the world in patents per million residents, San Diego stands tall as one of the premier destinations for innovative companies to locate and expand their footprint. Businesses from around the nation and world continue to want to locate in San Diego because of the incredible talent funneled out of the region’s institutions. More than 200,000 students currently study at the region’s world-renowned institutions. These students go on to start their own businesses or work for some of the most creative and disruptive companies the world has seen. 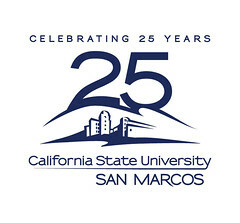 UC San Diego, especially Dean Peter Cowhey and his staff at the School of International Relations and Pacific Studies, has been an integral partner since the beginning. It assisted in the development of the original Global San Diego Export Plan, released early 2014, and the global trade and investment plan to be released on March 11. Its students and staff assessed the region’s export market and dug deep into the region’s foreign direct investment dollars and jobs supported by foreign firms. At San Diego’s Global Summit on March 11, Chancellor Khosla will join other community leaders to discuss San Diego’s competitiveness when attracting the smartest and most inventive individuals on the planet. More information on March 11 is available here. Join us as we formally launch San Diego's Global Summit, a global competitiveness initiative, on March 11. Subscribe here to receive new posts every Wednesday on this topic. 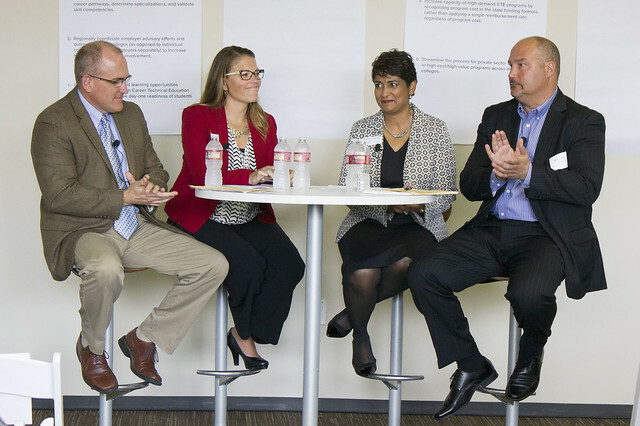 The post below is part of an on-going series leading up to San Diego's Global Summit, a global competitiveness initiative EDC will formally launch on March 11. Subscribe here to receive new posts every Wednesday on this topic. The Great Recession had profound impacts on the national economy: businesses closed; unemployment increased; homes were liquidated. The U.S. experienced the repercussions of taking on large debt and focusing on consumption rather than production, innovation, and entrepreneurship. Katz wrote The Metropolitan Revolution as a response to the inaction of the federal government to move the national economy in the right direction. Metropolitan regions, Katz argues, will drive the future growth and prosperity of the U.S. economy, not the federal government. The top 100 metropolitan regions of the United States hold only 12 percent of the total land mass but they account for more than 66 percent of the nation’s population. With this high concentration of people, these economic powerhouses account for 75 percent of the entire country’s GDP, and 78 percent the nation’s patents - a sign of regions' innovative power. Putting words into action, Katz and his team at the Metropolitan Policy Program launched the Global Cities Initiative, a five-year project of Brookings and JPMorgan Chase aimed at helping the leaders of metropolitan areas strengthen their regional economies by becoming more competitive in the global marketplace. On March 11, EDC and partners will publicly launch San Diego's Global Summit presented by JP Morgan Chase with Katz by our side. Katz will be keynoting the event , where he will discuss San Diego’s – and other metros’ – strength in the global economy. In particular, his keynote will discuss San Diego's ability to innovate and adapt to world-changing events and grow its economy. More information about San Diego's Global Summit on March 11 is available here. Leading up to March 11, we’ll be giving a rundown of some panelists, guest speakers and programs involved in San Diego's Global Summit every Wednesday on our blog. Next week: where does San Diego stack up when it comes to its ranking in the national economy? Here’s a hint: We’re 17th in GDP and population, but 61st in export intensity. As a region,we have the opportunity to change this.